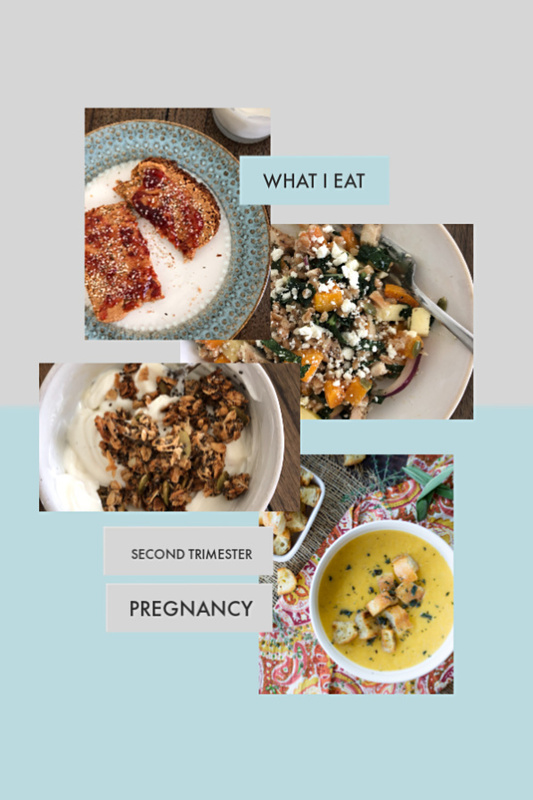 I love getting a sneak peak into what others eat in a day, so here I’ll share what a typical day looks like during the second trimester of my pregnancy! It’s been a long time since I’ve shared a “What I Eat” post. Probably because it wouldn’t have been very interesting during the first (and part of the second) trimester in my pregnancy. My diet during those long weeks consisted of salty snacks, popsicles, and buttered noodles. The nausea stuck around well into my second trimester (in fact I still have bad days), but I’m able to eat again and not be repulsed by food anymore. Woo hoo! I’ve mentioned before how much I love “What I Eat” blog posts and YouTube videos and I think they are especially helpful during pregnancy. Although many love to say “you’re eating for two!”, that’s actually not the case. You only need around 300 extra calories per day during the second and third trimesters. Of course you’ll need to listen to your body and eat when you’re hungry! It helps to consume smaller, more frequent meals with a variety of foods to ensure you’re getting adequate fuel for you and your baby. I haven’t had too many food aversions thus far, just all food early on and then meat. I can eat small quantities of meat here and there, but I much prefer fish, veggies, pasta, and grains. Otherwise I’m eating pretty much everything I enjoy! I also haven’t had any cravings – just a bigger sweet tooth than normal, but nothing crazy. A little piece of dark chocolate usually satisfies me, or some ice cream. ? Normally breakfast is eggs (scrambled or over medium) and toast. However, last week I was feeling nostalgic and wanted to recreate one of my childhood favorites. 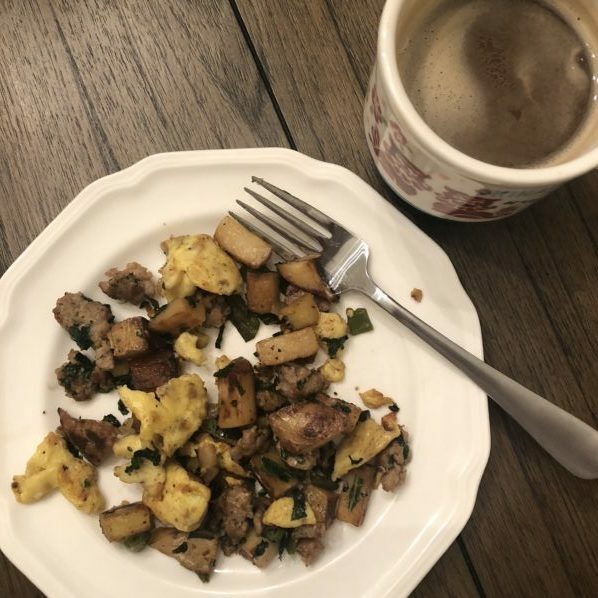 My mom used to buy a breakfast kit from Schwan’s – you got a bag of potatoes, onions, peppers, a bag of sausage crumbles, and a bag of scrambled eggs. Then you just sautéed it up in a skillet and it was DELICIOUS. I looked forward to having it every Saturday morning and remember it being so filling and satisfying. Last Sunday I made it (homemade this time!) for Kyle and I and we both loved it. It actually tasted just like I remember, but better because it was homemade with potatoes, onions, and peppers from our garden. The sausage was homemade hot Italian that we had in the freezer, and then I just scrambled up some eggs and tossed them in at the end. It was so good that I made a big batch for us to reheat all week long. It worked like a charm and reheated just perfectly! I haven’t always needed a morning snack, but now during pregnancy (especially the second trimester) I definitely do. I’m usually ravenous mid morning, so I always try to have a substantial snack. I picked up this really tasty 7–grain loaf in the bakery section at the grocery store and have been thoroughly enjoying it! 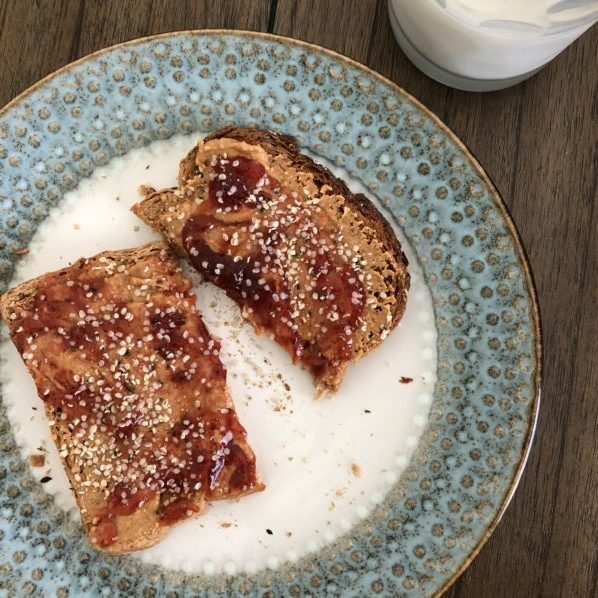 Here I toasted it and spread it with fresh peanut butter that I get from a local farm, strawberry jam, and a sprinkle of hemp seeds. I also had a glass of milk with this because I just can’t get enough milk lately. This was a super satisfying and satiating snack. My morning snack kept me full for a few hours, so I didn’t eat lunch until 1:30pm (normally it would be around noon). 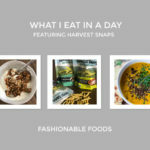 I made this harvest farro salad early in the week to test it for sharing closer to Thanksgiving. Plus, it gave me lunch for the rest of the week! If you’ve never tried farro, you have to. It’s such a delicious grain that unfortunately isn’t gluten-free, but since pregnancy made my IBS disappear, I’m living it up. 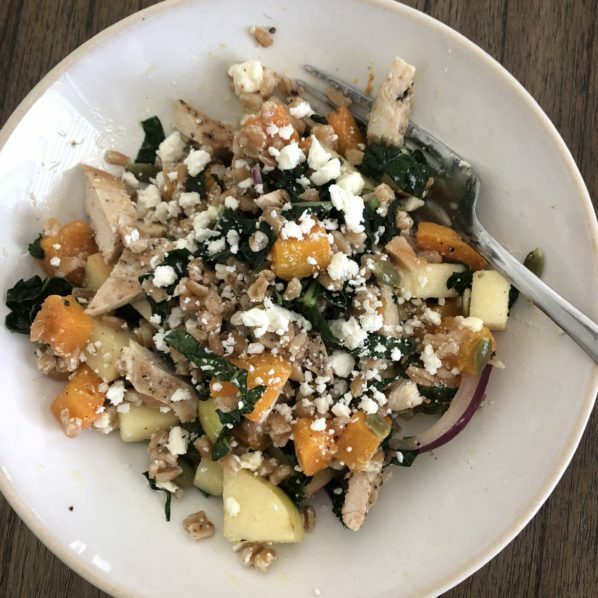 I tossed cooked farro with roasted butternut squash, fresh kale, red onion, apple, pumpkin seeds, and tossed it with a tasty apple cider vinaigrette. A sprinkle of feta takes it to the next level and for added protein I threw in some diced cooked chicken. Delicious! Lunch really filled me up, but I knew if I didn’t eat something before dinner that I’d end up ravenous by dinner time. 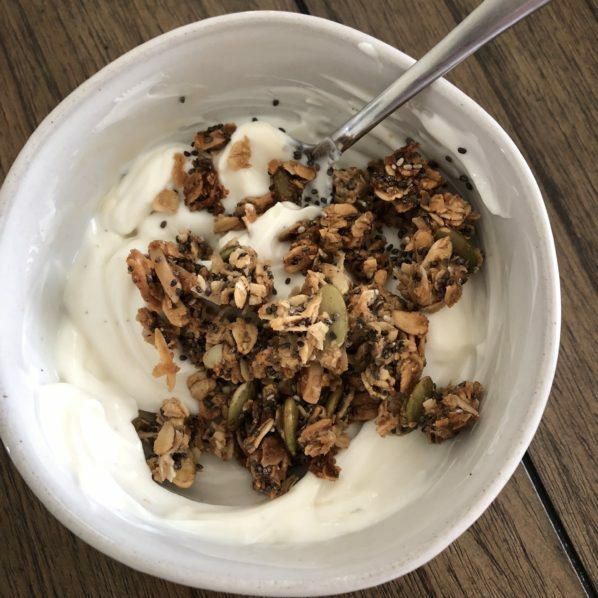 I’ve been loving yogurt and granola, specifically Siggi’s vanilla yogurt and my homemade high-fiber granola. To make the granola a little more festive for fall, I used maple syrup in place of the honey, added pumpkin seeds, and used pumpkin pie spice in place of the cinnamon. It’s the perfect combo and just a 4 oz. serving of the yogurt topped with 1/4 cup of the granola is enough to fill me up. 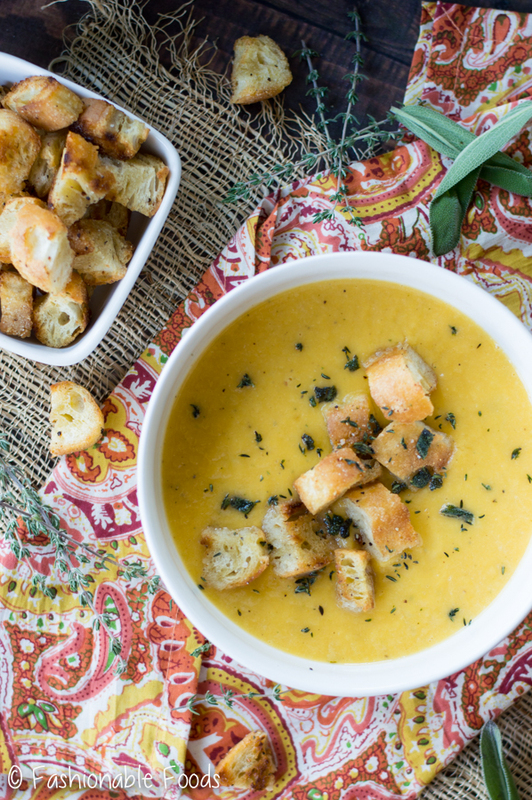 Butternut squash leek soup with crispy garlic herb croutons made for the best fall dinner! It’s creamy (without any cream! ), full of flavor, and those croutons take it over the top. I’ll be sharing the recipe on Monday so stay tuned for that! 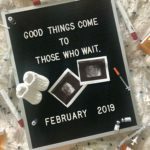 I hope you enjoyed this little peak into how I’ve been eating throughout the second trimester and maybe took some ideas away whether you’re pregnant or not. Until next time, friends! ✌? Great tips specially for the new moms. My cousin currently pregnant with her first baby. I will definitely pass on your tip to her hope so she will be benefited from here. Thanks for your insightful article. thank you very much. great and helpful for a pregnant women. well. my wife also pregnant now. I will definitely pass on your tip to her hope so she will be benefited from here. In my pregnancy I have been so hungry, thanks for tips. Yes just after giving birth eating too much meat is not good, vegetables are good choice because it is easy to digest. 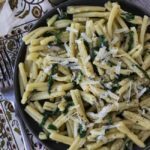 Really amazing and valuable post about eating during pregnancy period. Thanks for sharing for this kind of information. 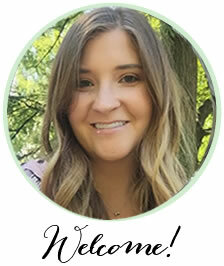 Hi Keri, thank you for sharing the healthy options, just bumped into your blog, looking for god food to eat during pregnancy. Thank you! !